Since day 1 of owning and running my own Chiropractic office, I have never carried a product that I didn’t personally use. All of the products on this page are products that I and my family personally use. I stand by each of the products listed below and encourage you to try some of them and enjoy the benefits for yourself. 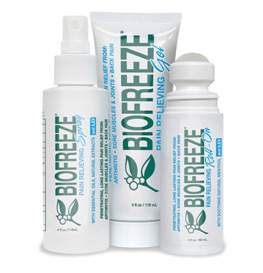 Biofreeze is a topical analgesic. With USP-grade menthol as the active ingredient, Biofreeze provides highly effective short term cooling pain relief, helping to promote a faster recover. Available in 3 oz Roll-On or 4 oz Gel Tube. Other sizes can be special ordered upon request. Rocktape is a type of kinesiology tape that I have personally found to be of the highest quality and effectiveness. It is a natural-hybrid product consisting of 97% cotton and 3% nylon. Contrary to popular suspicions, Rocktape uses no drugs or medications in the tape or adhesive. The adhesive is a hypo-allergenic acrylic based adhesive and contains no latex. Available in many sizes and colors. 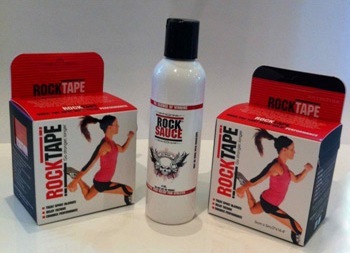 Rocksauce is the first and only warm topical pain cream designed for use with Rocktape. It can be used with the tape or as a stand-alone topical analgesic. It is made up of 20% Methyl Salicylate, 10% Menthol, and .002% Capsaicin, giving a cooling and a warming sensation. Available in 4 fl oz Bottle. Nordic Naturals is a company that produces high quality nutritional supplements. My wife and I take the ProOmega-D Fish Oil and my children have used the other products that I carry. My youngest son especially likes the Nordic Berries Multivitamin and the DHA Junior Fish Oil. *Other supplements are available for special order.